The only thing cooler than going as a dinosaur for Halloween is going as a DEAD dinosaur! 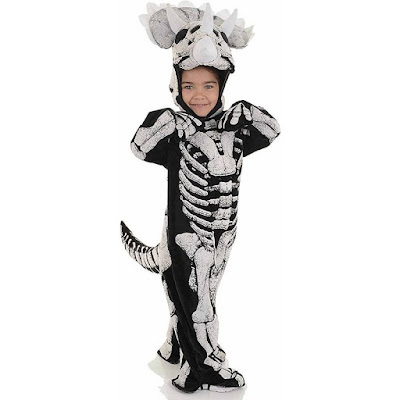 Imagine your kid showing up at someone's doorstep in one of these terrifying dead dino costumes! I personally think that they are quite hilarious. Take a look! I can already imagine the kids getting bothered by the overly cumbersome Triceratops fossil costume. It's super cool, but the skull looks like a giant headdress. The only different between a real T-Rex and this T-Rex Fossil costume is that the costume's arms aren't short. They're actually functional! I'm sure most toddlers would love to stomp around as the king of the dinosaur world. Being a skeleton makes it all the better. 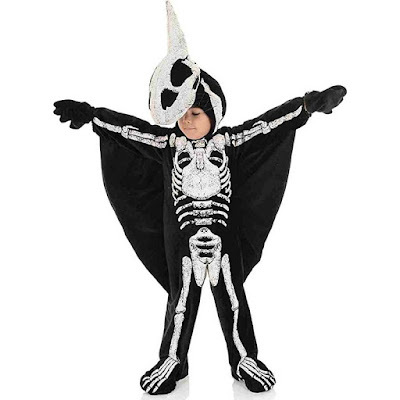 This Pteradactyl dinosaur fossil toddler costume is definitely my favorite. Though I can see many kids running around destroying my house trying to take off in flight. In reality, even the dead dino couldn't fly. Are your kids ready for Halloween this year? 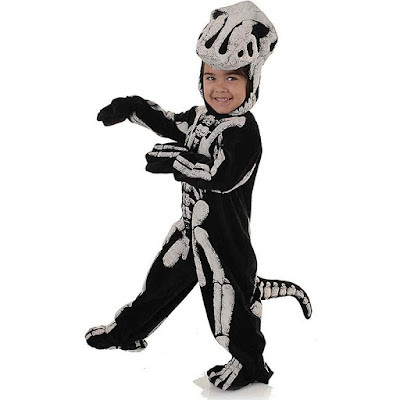 These dead dino costumes are creepy and comfy! If I had kids, these costumes would be on the top of my list. I can see these being used as pajamas - talk about multifunctional! Comment below and tell me what your thoughts are.